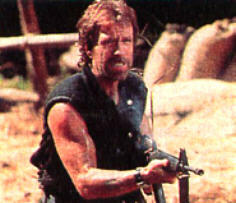 Chuck Norris’ IQ can be expressed simply as a sideways eight. Chuck Norris doesn't doge bullets. Bullets dodges Chuck Nurris. When a tsunami happens, it’s because Chuck Norris has been swimming laps in the ocean.